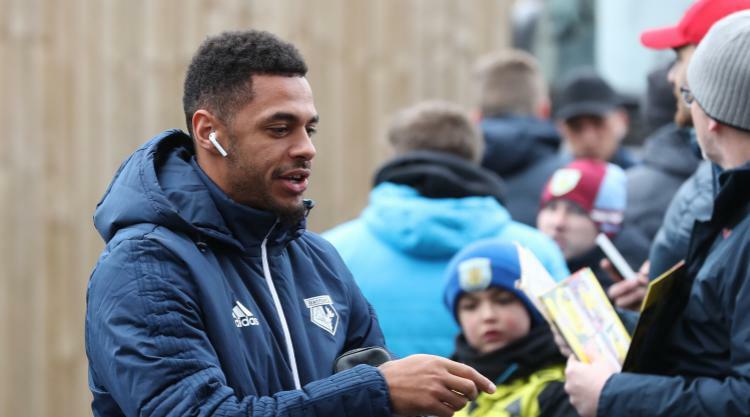 Sean Dyche and Marco Silva are destined to remain as two of the Premier League's wanted men, according to Watford striker Andre Gray. Burnley boss Dyche and his Hornets counterpart are busy forging reputations as two of the division's brightest coaching prospects and both were strongly linked to Everton before Sam Allardyce's appointment. Dyche edged their head to head at Turf Moor on Saturday, Scott Arfield sealing a 1-0 win after Marvin Zeegelaar's red card, leaving his side seventh in the table with Watford also secure in the top half. Gray worked under him for two years before being tempted away by Silva this summer and believes both will continue to attract interest from rival clubs. "The table doesn't lie and what they're doing with the group of players they've got is proving they're good managers," said the striker. "Everybody speaks highly of both of them. They're both honest and they've both got the same sort of morals when it comes to managing. "There is always somewhere for a player or a manager to leave and go to, whether it's a better club or a better league. "That's how it is and obviously as long as our manager and Sean Dyche are here and they're not top of the league then there is always somewhere for them to progress and move on to. It's just part and parcel of football and if they keep doing well they're always going to be linked with big jobs." Gray was reduced to a cameo off the bench at his old stomping ground, with some cheering in recognition of his prolific stint in east Lancashire and others seemingly less impressed by his hasty exit on the eve of the campaign. He remains a Burnley believer, though, and sees no reason why his old club cannot keep defying expectations. "It (the crowd reaction) was very mixed, but I accept it and I still clapped them when I went off because I had a great time here," he said. "If they keep going, keep digging in and keep doing that they've been doing for the past three seasons then why not? People write them off every year. "They wrote them off when I first signed in the Championship then we went and won the league. Then last year we were favourites to go down until that final whistle blew on the last game of the season. That's just how it is. They'll all know in the dressing room what they're capable of. I think everyone will start to believe sooner or later."